Verticode is the Cube Cities geocoding platform for rich city search applications and white-label web products. Imagine Verticode as a huge database of known points covering every building surface in the city. What if those points were organized by building attributes and matched with commercial data sources like Expedia and MLS systems, creating actionable visual information overtop of the cityscape? That's Verticode. 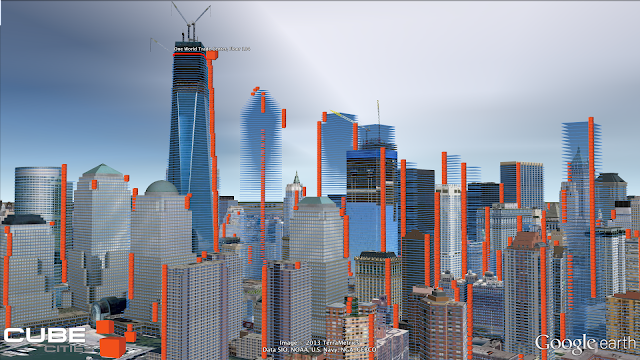 Our massive database of geocoordinates covers buildings in every major city in North America and regularly expands and updates. This vast data source enables urban data to come to life anywhere in the world. Verticode's application layer is loaded with geospatial math functions designed to create, stylize and generate amazing urban visuals using real-time and economically meaningful information. Combined, this forms the perfect platform for finding anything in the city and especially for understanding real estate markets. The next video shows how Verticode can highlight and reveal floor information. 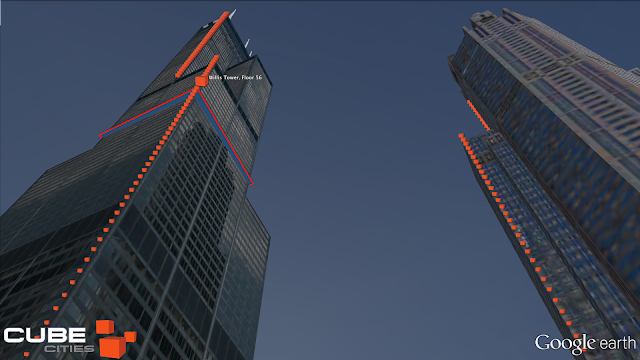 Below are two skyline images revealing the Verticode index with cube-shaped icons, one on every floor, forming columns. 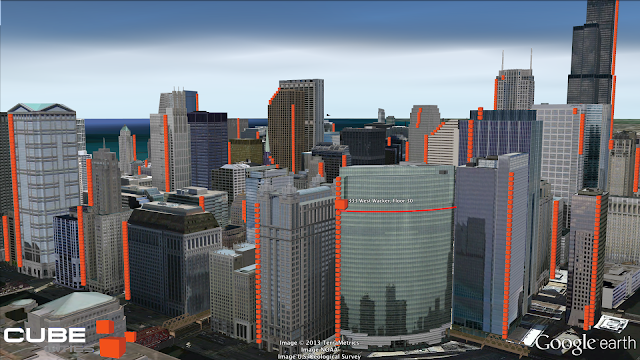 This is a precise building information tool with many applications. Buildings that are under-construction and pre-leasing are shown with transparent blue coordinates rings.